The use of a rub is one way to flavor turkey. A rub is basically a dry mix of herbs and spices that are applied to the raw meat and are allowed to permeate and flavor the meat over a period of time, usually overnight in the refrigerator. 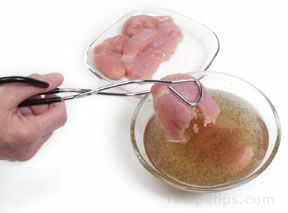 An additional option for flavoring turkey is with the use of a rub. A rub is basically a dry mix of herbs and spices that are applied to the raw meat and are allowed to permeate and flavor the meat over a period of time, usually overnight in the refrigerator. An endless variety of rubs can be prepared for turkey depending on the flavors that are desired. A rub mixture can be patted onto the turkey, but the moisture from the meat can cause the dry ingredients to stick to your hands. 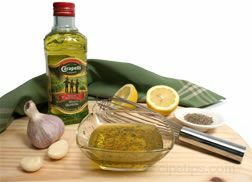 The best results often occur when the ingredients are sprinkled evenly on all sides. 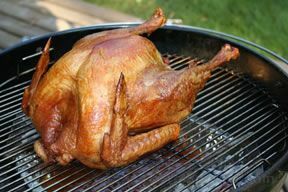 When turkey is grilled, a rub can provide a flavorful crust on the surface and help to seal in the moisture, especially if the skin has been removed from the turkey.